The Multisizer 4 COULTER COUNTER® provides particle size distributions in number, volume and surface area in one measurement, with an overall sizing range of 0.4 um to 1600 um. Discover the accuracy of particle size analysis and particle counting abilities of the Multisizer 4. 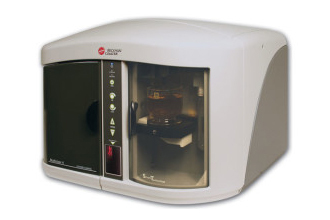 The Multisizer 4 COULTER COUNTER® provides particle size distributions in number, volume and surface area in one measurement, with an overall sizing range of 0.4 um to 1600 um. Discover the accuracy of particle size analysis and particle counting abilities of the Multisizer 4. Its response is unaffected by particle color, particle shape, composition or refractive index, and is capable of counting and sizing particles at low concentration levels not detected by other technologies.